New Lower Price! DVD: This Is Perelandra - Perelandra Ltd. 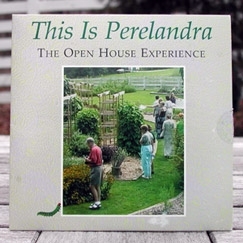 Whether you've been working with the Perelandra materials for years or you've just heard about us, you'll learn something new from This Is Perelandra: The Open House Experience. For those of you who never made it to a Perelandra on-site open house, here's your chance to spend the day with us! We recommend this DVD for anyone who would like to learn about Machaelle's work and see it in action here at Perelandra. It's also a great way to explain Perelandra to friends without having to come up with the words. Subtitles available in French, Japanese, Spanish, English and "Mystery Surprise."